Sorry to my dearest reader, I had been abandoned my blog for quite a sometimes due to my busy schedule but promise still a promise. 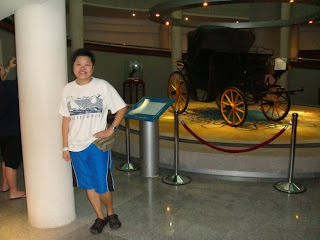 Few months ago, I had an awesome trip to West Malaysia with family and went to several interesting places. First station that we stop before Langkawi actually was Kuala Lumpur, the capital city of Malaysia but it's only a night so nothing much to update. 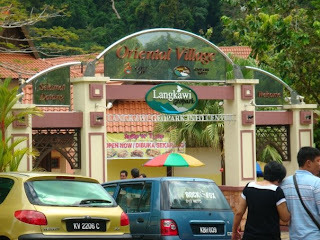 We fly over the sea to Langkawi the next day for four days three nights and it was awesome!!! 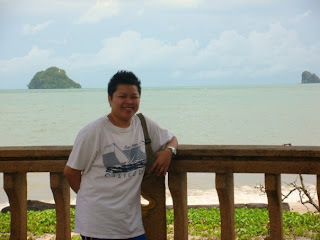 I love Langkawi!!! Langkawi island is an archipelago of 104 islands lying in the north western coast of Peninsular Malaysia. The exact location of these tropical islands is at the site where the Straits of Malacca meets the waters of the Andaman Seas. The largest of these islands is called Langkawi Island and is bigger than the Penang Island.The other islands in this group are Island of Pregnant Maiden (Pulau Dayang Bunting), Lion Island (Pulau Singa Besar) and Beras Basah Island.The smallest of these islands are atolls roughly the size of an ordinary house! 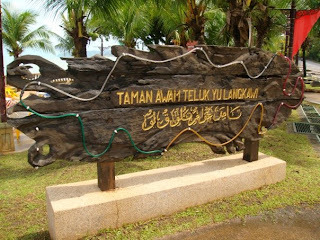 This island is unique in the sense that it has so many legendsand myths associated with it.Langkawi Island is therefore also called Pulau Lagenda or Legendary Island. 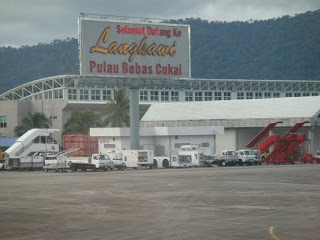 The government of Malaysia has declared the entire Langkawi Island as a duty free zone. Hence this island is also termed Duty Free Island.All goods sold in this island are exempted from government tax. 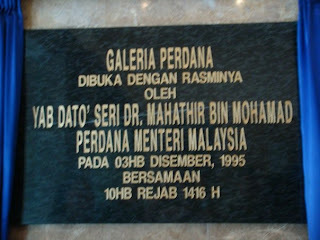 The idea for Galeria Perdana was mooted by Prime Minister Yang Amat Berhormat Dato' Seri Dr Mahathir bin Mohamad.This unique gallery was built to display and share with everyone the various awards, souvenirs and gifts our Prime Minister and his wife have received from world leaders, statesmen as well as Malaysians during his tenure. Officially opened on 3 December 1995, the gallery is in a two-storey 5,333 square metre building in the tranquil village of Kilim, 15 kilometres from Kuah. 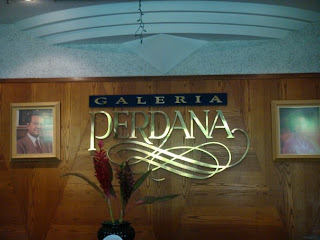 The exhibits range from crystals to musical instruments, Islamic arts, honorary awards/decorations and even automobiles. Each display comes with an explanation. Another striking feature is the ceiling, which is hand painted with intricate designs. 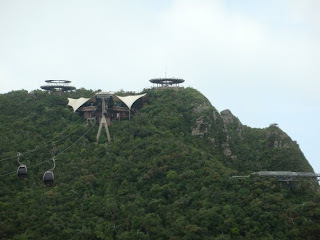 Upon arrival at the Oriental Village, ascend Mount Mat Chinchang Hill by cable car for a bird's eye view of Langkawi. The cable car has the longest suspension in the world between two stations. It was built without constructing any roads through the jungle. Hop into a Langkawi cable car and have an awe-inspiring journey and panoramic views over Langkawi, neighbouring Kedah province and beyond to southern Thailand. Taking a cable car to top of the legendary mountain, Gunung Mat Cincang is a wow! must-do. It is probably one of the most exhilarating experiences you'd ever have. This cable car will bring you all the way up to 709 meters. The journey covers a total of 2.2 km at an incline of 42 degrees. The steep ascend and descent make your ride an exciting one! You'd see beaches and islands retreat into the distance. If you take a cable car ride to the top of Gunung Mat Chincang - you can see the breathtaking view of Telaga Tujuh Waterfalls. There are seven waterfalls that flow from one into the other and create seven pools on the face of the hill. 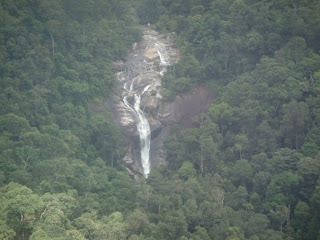 Telaga Tujuh is one of the gorgeous waterfalls in Langkawi. Sounds fun huh? Yeah it is. Definately will go again in the future. Stay tune for my next update of my awesome trip!